Science fiction and fantasy, two distinct genres of storytelling, have at least this in common: fictive metaphysics. That is: there’s some regular feature of reality described in such stories which clearly doesn’t exist in our world, or which could not possibly exist in our world. Star Trek’s warp drive. The monoliths, from 2001: A Space Odyssey. Phillip Pullman’s Dust. As a child and a teen, my favourite fictive metaphysic was The Force, from Star Wars. 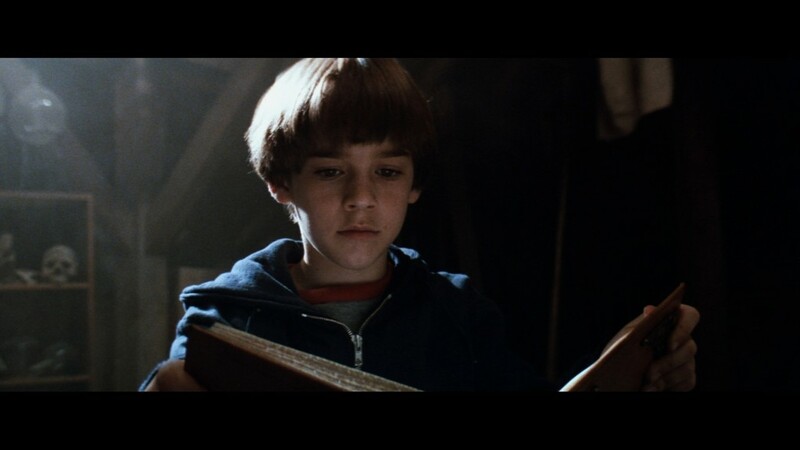 This was me at that age: always sneaking away from everybody to a creepy attic, in order to read books. 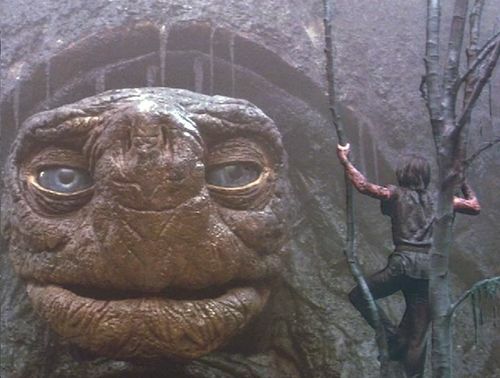 But I think the most philosophically interesting fictive metaphysic is The Nothing, from Michael Ende’s novel The Neverending Story. (Here’s the trailer from 1984 film.) The Nothing is not a person, nor a political movement, nor a criminal enterprise, nor anything comparable. It wouldn’t be quite right to call it ‘evil’ or ‘the enemy’, even though it serves in the story as the primary antagonist, because it isn’t an object to which one could ascribe the attribute. It’s a not-thing; it’s literally nothing. This reminds me of The Nothing because The Nothing is precisely a literary representation of the experience people have when they encounter the absurd: it feels like a force (even though it’s a non-force) that deprives one’s life of its meaning, its substance, and its point. It is the oncoming wave of emptiness, the empty pit of despair. (Don’t even think about trying to escape.) I dare say that most people on earth simply cannot bear the thought that their accomplishments are without meaning, their plans without hope of permanent success, their lives ultimately “about”, well, Nothing. G’mork: Don’t you know anything about Fantasia? It’s the world of human fantasies. Every part, every creature of it, is a piece of the dreams and hopes of mankind. Therefore, it has not boundaries. G’mork: Because people have begun to lose their hopes and forget their dreams. So The Nothing grows stronger! G’mork: It’s the emptiness that’s left. It is like a despair, destroying this world … People who have no hopes are easy to control, and whoever has the control has the power. Still, what I think makes The Nothing so effective and so terrifying is that it invites you to think of whatever is most important to you, especially your ability to imagine something that could be most important to you: and then to imagine that thing, and with it your capacity to imagine that thing, falling into a bottomless abyss, never to emerge again. And, more ultimately, The Nothing invites you to imagine yourself falling into that abyss– a loss of meaning so complete it culminates with the loss of existence itself. Heavy stuff, for what is marketed as a children’s book. Also, philosophical conversations with giant turtles. What’s not to love about this film? The counter-force in the story is AURYN, the medallion which allows the hero Atreyu to locate the Princess. In the novels, it is always spelled with capital letters, and never has a pronoun: it is written of as if it’s a person. On the front are two symmetrical serpents, consuming each other’s tails: a symbol that invokes the sense of eternity. On its back is inscribed the sentence “Do What You Wish”. This, too, reminds me of existentialism, especially its ethic of authenticity and radical freedom. You have to decide, for yourself, what the meaning and the point of your life shall be. Nobody, not even God, can decide this for you. I suppose AURYN could also be favorably compared to Nietzsche’s ethic of the Will to Power, or perhaps to Crowley’s Law. But the story makes it clear that the most important counter-force to The Nothing is unfettered childhood imagination and wonder. The fact that all the heroes are children and all the villains are adults is one sign of that. The final scene, where Bastian and the Childlike Princess, both of them children, recreate an entire universe from a single grain of sand, is another. The hero Atreyu is a “warrior”, but he is not, as Nietzeche or Crowley would have him, a patriarchal-heroic conquerer of the weak. His enemy, after all, is The Nothing, and, as an afterthought, it’s G’mork– although Atreyu does, in the end, die in battle against G’mork. It’s a very Nietzschean way to go. Watching the film as a kid, I thought the mirror showed people from Fantasia a “real-world” person who was presently imagining Fantasia; hence why Atreyu sees Bastian, who was at that moment reading about Atreyu in the book. But it’s a very adult kind of insecurity that Engywook describes: Engywook is, after all, an adult and not a child. Watching the film again as an adult, it reminds me of the existential principle of “bad faith”– the condition of one who pretends to himself that he is other than who he really is. The story perhaps implies that children are not subject to bad faith: but are there no advantages to adulthood which could help here? Surely it is the truly “grown-up” person who could look at the mirror directly and not run away screaming. The very point of maturity is to have no illusions about yourself. I hesitate to call that question a fault in the story. Actually I think it may be a counter-factual strength: it is a place where the story has something to offer adults. While children might struggle with bullies, math tests (oh no! ), and the weird rules adults keep pushing on them, adults might struggle with The Nothing that gets inside their heads and turns them into a G’mork. A child might not worry about that: hence why Atreyu is puzzled by the mirror, but not afraid of it. Perhaps the message the story offers adults is something like this: The Nothing can get you too, just in a different way. Regardless of that critical question’s answer, Atreyu’s quest to stop the Nothing ultimately engages all of us. It is the struggle to push back the frontier of loneliness, hopelessness, and despair. His quest is the work of creating, by act of imaginative wish, a life that means something, and a world worth living in. All of us need to do this, every day, sometimes every moment of each day. This struggle is– wait for it!– a never ending story. Bet you didn’t see that last line coming. This entry was posted in General and tagged existentialism, fantasy, fiction, The Neverending Story, writing. Bookmark the permalink. Love this. The summary I have been looking for (and didn’t know how to say myself) all this time. Thank you for describing the Nothing so concisely. I love this story’s ability to trust children with such dark undertones through fantasy. This is was really a fantastic piece. Thank you. Tonight for some reason I was thinking about the movie, and thought there was Nietzsche connect in there somewhere. A google search brought me here. Thx for the perspective.